During the holiday season we are surrounded by lots of goodies, classic sweets, and even richer dishes. There will always be a classic that stands by year after year and that classic is eggnog. A traditional drink served on those special holiday nights that fills you with cheer and delight. Eggnog is an old treat, originating in Britain during the 18th century. Usually only enjoyed by aristocrats because they could afford the ingredients, the drink is now celebrated among everyone. You can purchase it now a days in store or make it yourself, but one thing they all have in common is that its not a hard recipe to make. 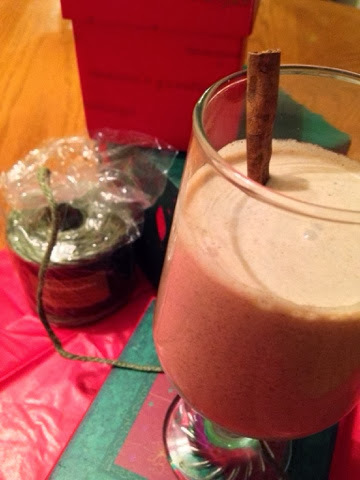 This recipe shows you how to make that classic holiday beverage that you can make as quick and easy as 1-2-3 and completely vegan. 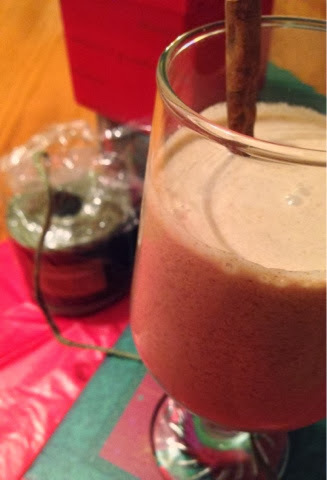 With simple vegan ingredients and your handy dandy blender, you will be sipping it in front of the fire in no time. Serve it chilled out of the fridge as desired and pair is with rum or bourbon for the adults. Anyway your serve it, you will have a delish drink over and over again. Enjoy! 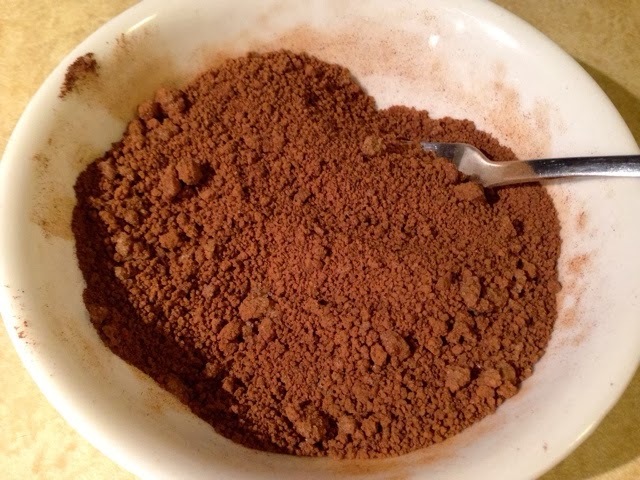 In a blender, place all your ingredients listed and blend until incorporated. 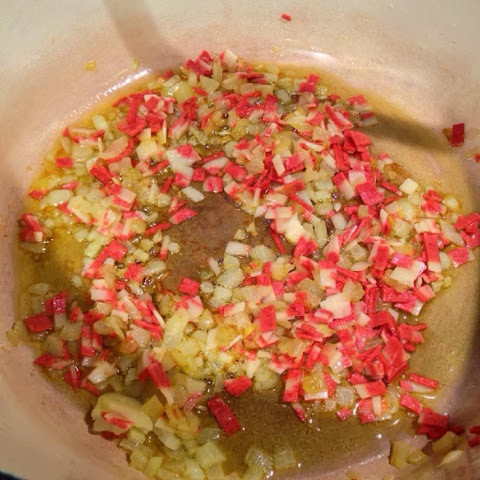 Once you combined the mixture together, taste to adjust for seasoning and/or add alcohol if desired. 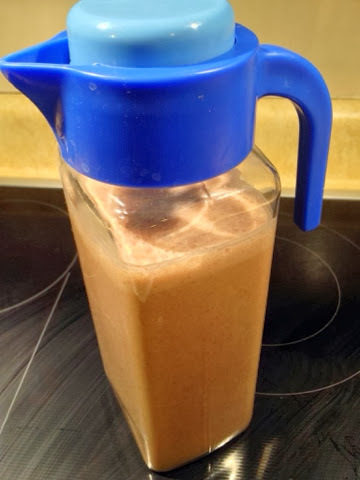 Then place in a pitcher and chill in the fridge until ready to serve. 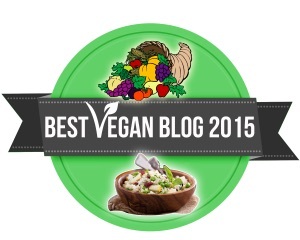 Serve the vegan eggnog in decorative or "fancy" glasses as desired and enjoy again and again. Your choice if you make it an adult beverage or none for the kids. Either way you serve it, it's just darn good! Enjoy! 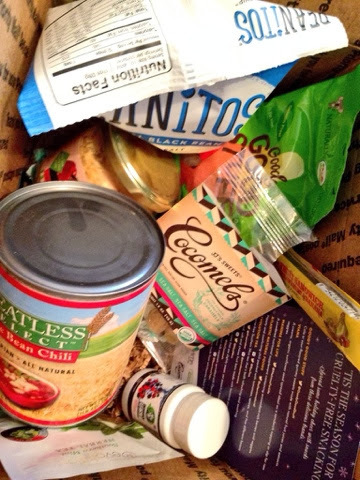 I had the pleasure of reviewing a snack box recently and I was pleasantly surprised. I have seen the advertisements around the internet for these and have been curious, but never purchased one...yet. I think I have had a change of heart, it was quite great. You will not only love the value of the box but you have so many different options to try. The box I received had 9 items in it plus a few extra of the one item (peppermint tea). The box is small but packs a yummy punch. 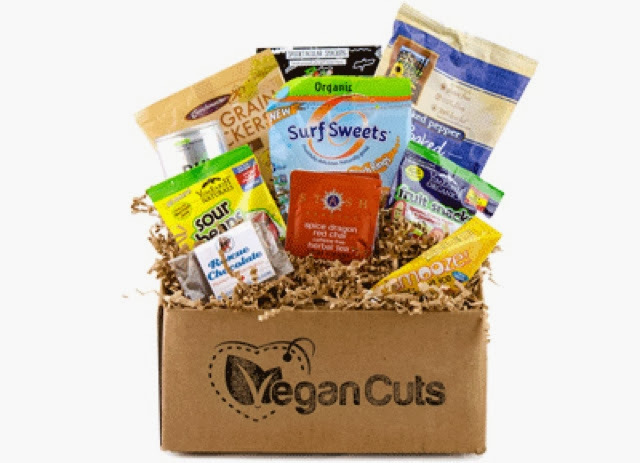 Everything from candies/fruit chews (vegan salted caramels to vegan cola gummies), chips, beverages, sunflower cheese spread, vegan canned chili, supplement bottle of antioxidant powder to add to your water, and even mints. Like I said, the options were fantastic! The main reason I've never got the box in the past was because I thought I had seen and tried the majority of products out there in the marketplace. I was more than surprised to see the items that were NEW to me and try something fresh and fun for a change. 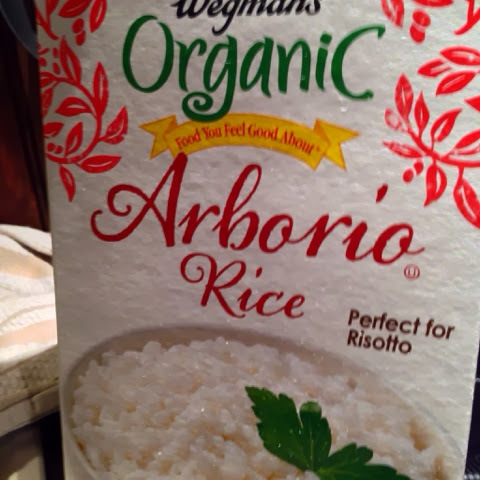 I'm always thrilled to try new and different vegan items. As seen above in the photos, the box retails for $19.95 each month and comes with 7-10 items. 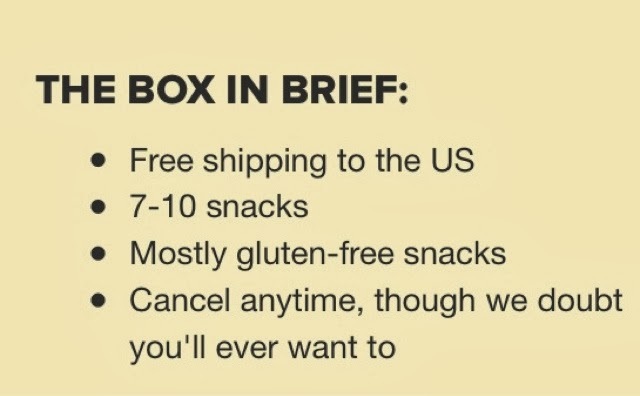 The boxes usually contain 80% gluten-free products. 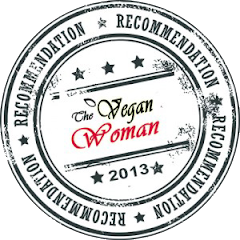 Everything is 100% vegan and contains no animal products of any nature, including honey. They also decided not to include any products that contain palm oil. Plus all beauty care products are vegan and cruelty-free. I think they covered all the bases here, what's not to love! They ship out from my hometown of Syracuse, NY (didn't know this, awesome!) and arrives to your door in 1-2 days time. Packages and shipped in a small box with recycled packaging inside. You are billed on the 10th of each month. They ship international as well as within the US but at an extra charge. General taking 2-4 weeks. 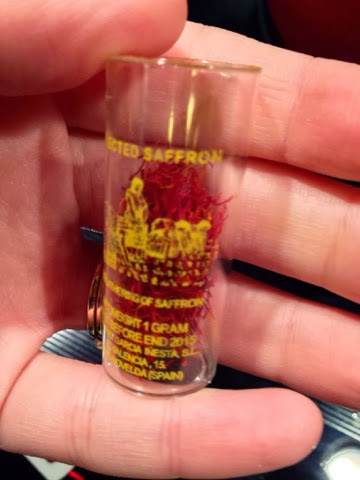 So you can not only get one for you but even a relative overseas! 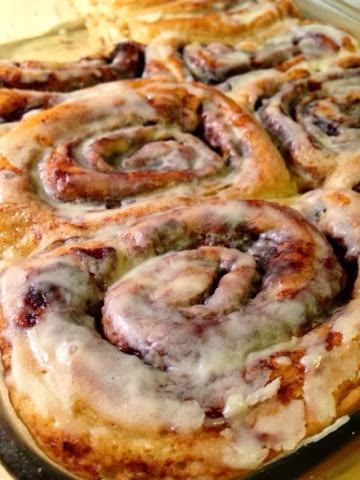 If you have ever had a cinnamon roll you know that you have a luscious piece of sinful food goodness in front of you...okay it may be a little over the top for a food description but this is not just any comfort food. This dessert or even better, breakfast is the definition of comfort food. What you have in front of you is a carb...sinful enough...but a carb covered in butter and sugar...wrapped and covered in more sugar. Are we on the same page now? Yeah we shouldn't even be aloud to look at it with fear that it may raise the numbers on our wintertime scale. 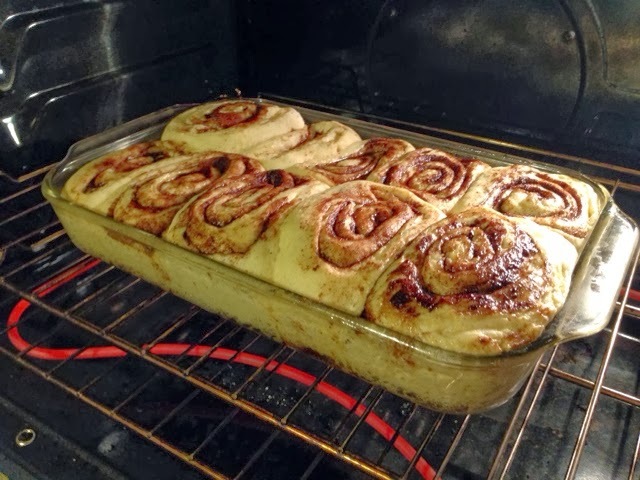 But my motto has always been everything in moderation and I see cinnamon rolls as something to be enjoyed very occasionally and if enjoyed, made homemade and naturally. 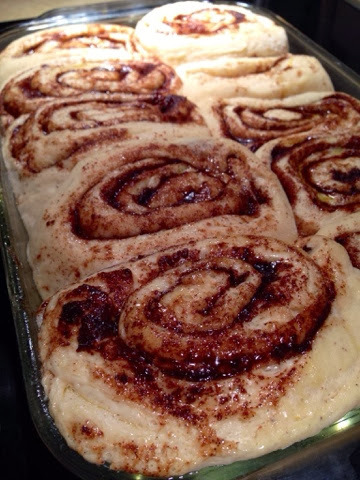 These cinnamon rolls are 100% vegan and homemade to copy the famous CINNABON style cinnamon rolls. CINNABON is a huge chain that specializes in baked goods and namely a cinnamon roll factory of sorts, tons of delish treats but sadly not vegan for us to enjoy. 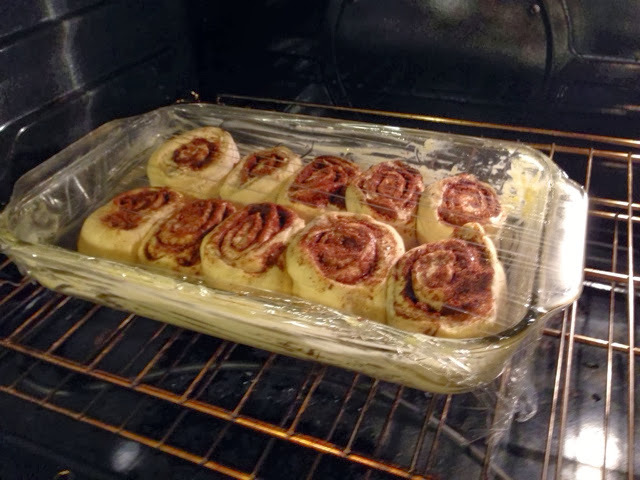 This recipe shows you how to step by step make that famous cinnamon roll that a lot of us have enjoyed in one way or another. 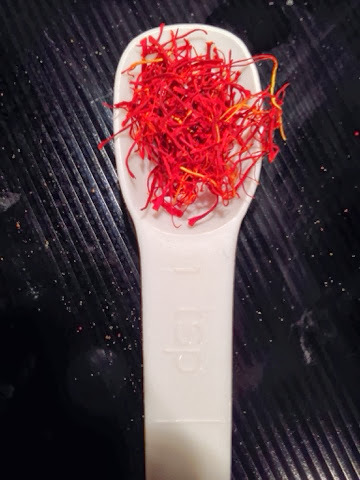 Whether you have enjoy the smell passing by or used to enjoy in the past, this recipe will help show you that you can always have those comforting treats. 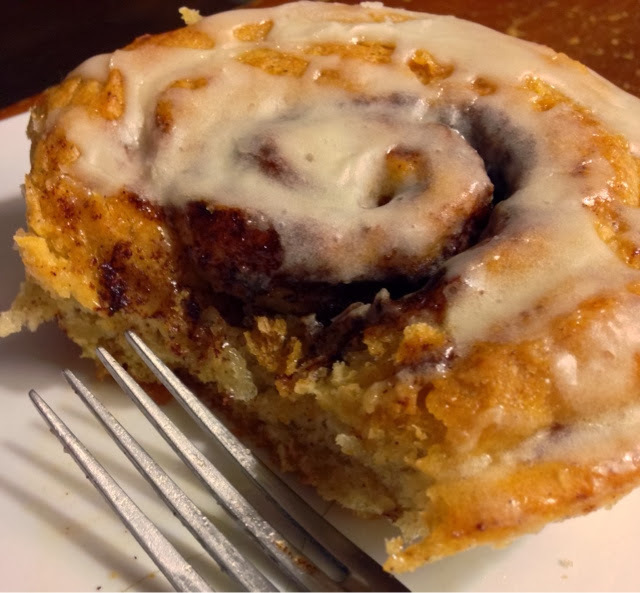 Serve these cinnamon rolls freshly covered in its sweet frosting coating or store in the fridge and serve as desired for breakfast or dessert. Make every helping even more enjoyable by microwaving each before devouring. Great as a homemade gift for the holiday season or made with love for parties. But anyway you serve it, you and your love ones will enjoy it more and more each time. Enjoy! 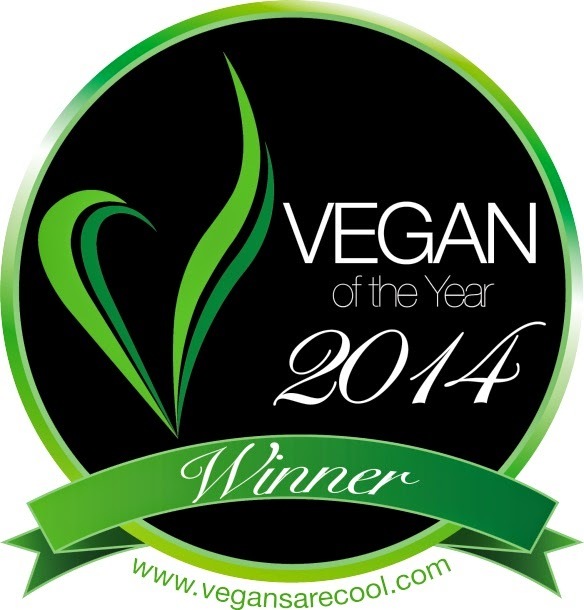 Warm the vegan milk in a medium saucepan over low heat until it reaches about 100. 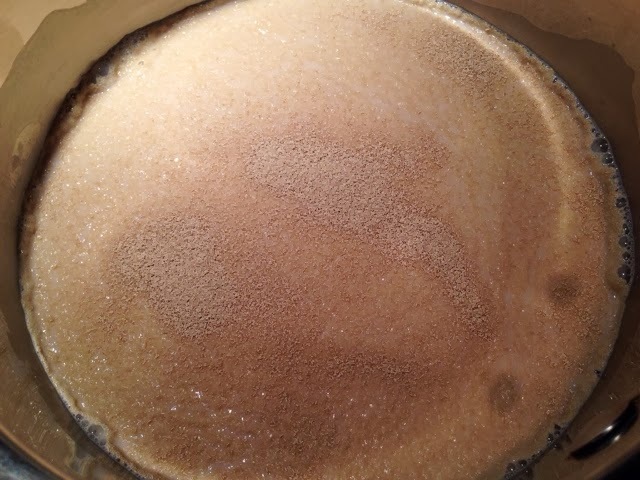 Remove from the heat and sprinkle in the yeast and 1/4 teaspoon sugar. 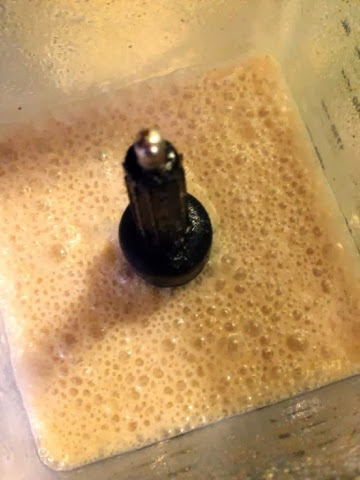 Set aside until foamy, 15 minutes. 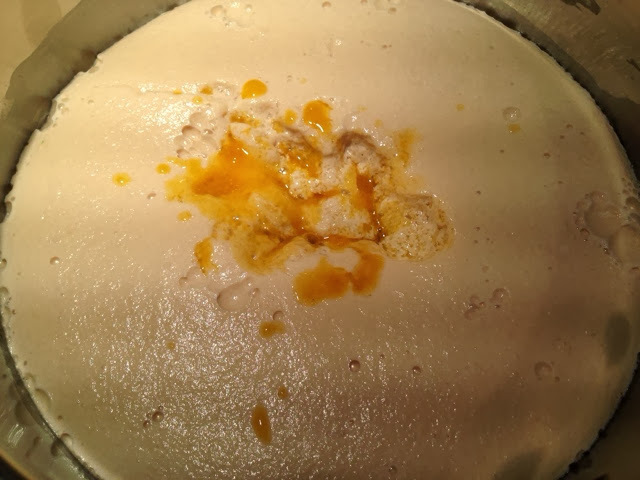 Once the mixture foams up and doubles in size, whisk in the melted vegan butter, "egg" mixture , and vanilla. 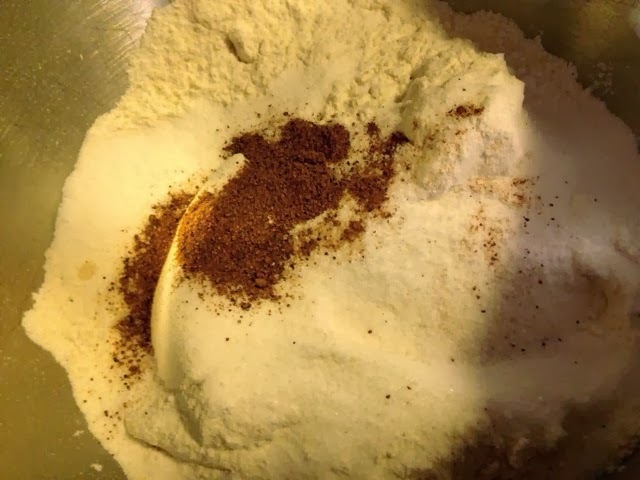 In the bowl of a stand mixer, whisk the flour, the remaining 1/4 cup sugar, the salt, and nutmeg. 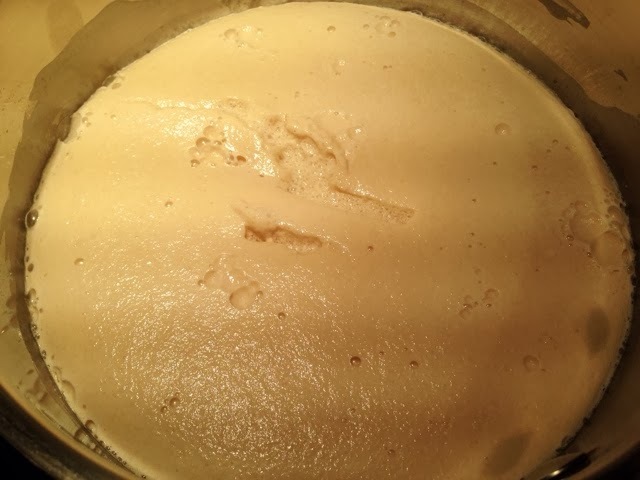 Make a well in the center and pour in the yeast mixture. 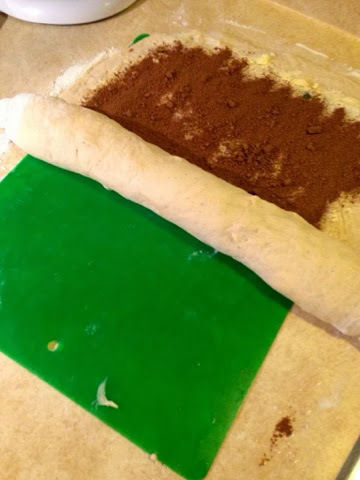 Mix on low speed with the dough hook until thick and slightly sticky. 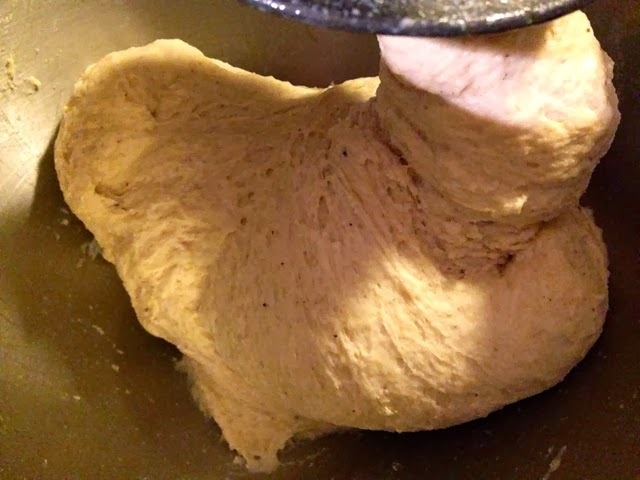 Knead on medium speed until the dough gathers around the hook, 3-6 minutes. 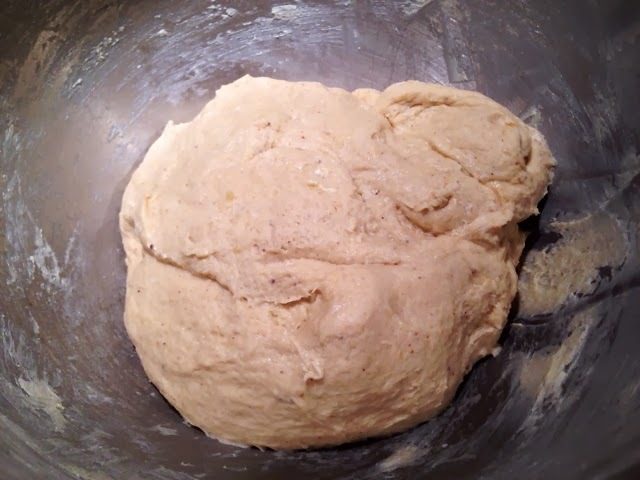 Remove the dough and shape into a ball. 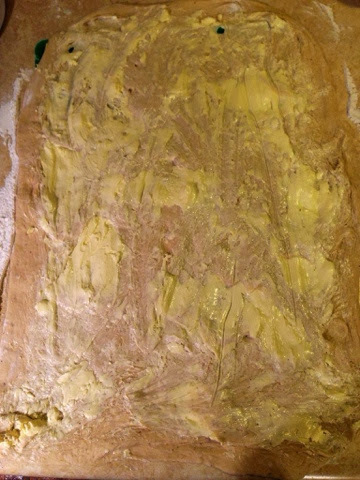 Coat vegan butter on the mixer bowl and return the dough to the bowl, turning to coat with vegan butter. Cover with plastic wrap and let rise until doubled, 1 hour 15 minutes. 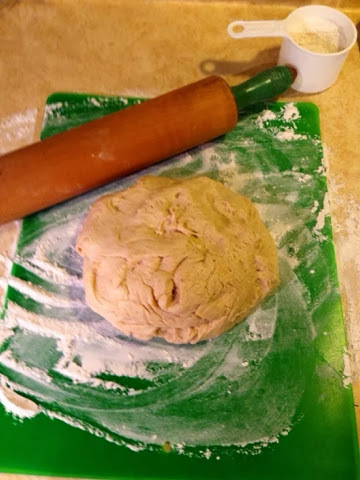 Roll out the dough, fill and cut into buns. 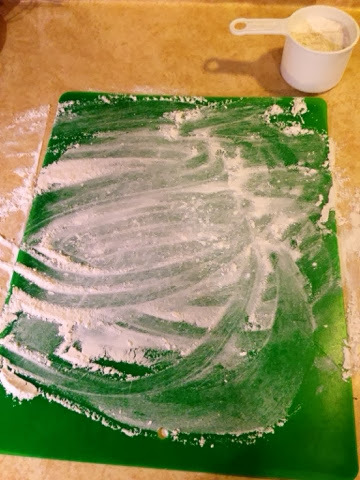 On a lightly floured surface, roll the dough into a 12-by-14-inch rectangle with the longer side facing you. 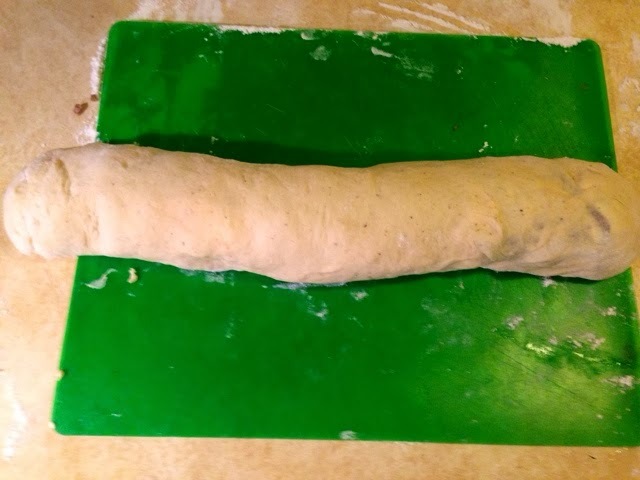 Spread with the softened vegan butter, leaving a 1/2-inch border on the far long edge. 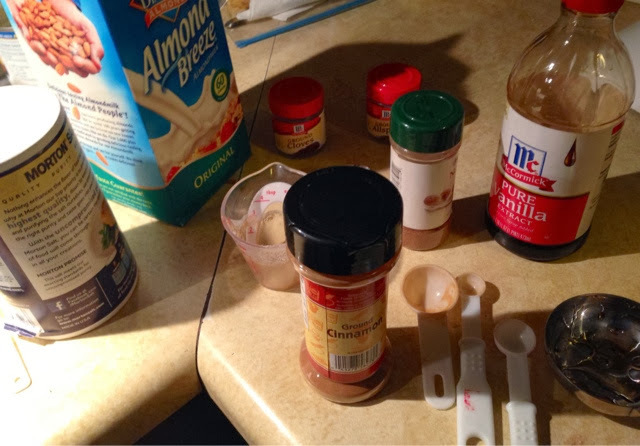 Mix the sugar and cinnamon and sprinkle it over the vegan butter. Brush the unbuttered far edge with water. 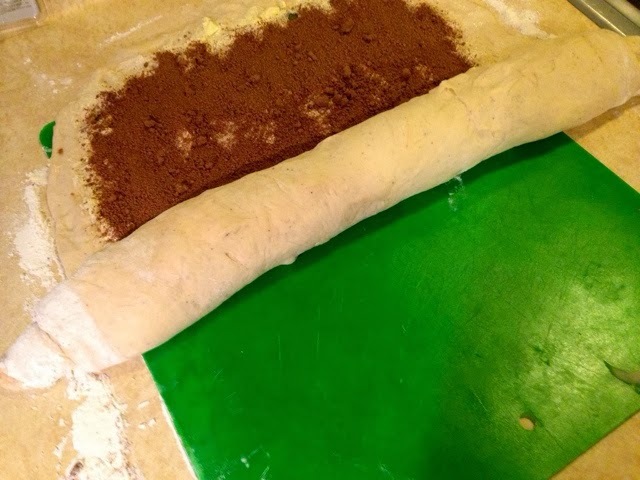 Roll the dough away from you into a tight cylinder and press on the long edge to seal. 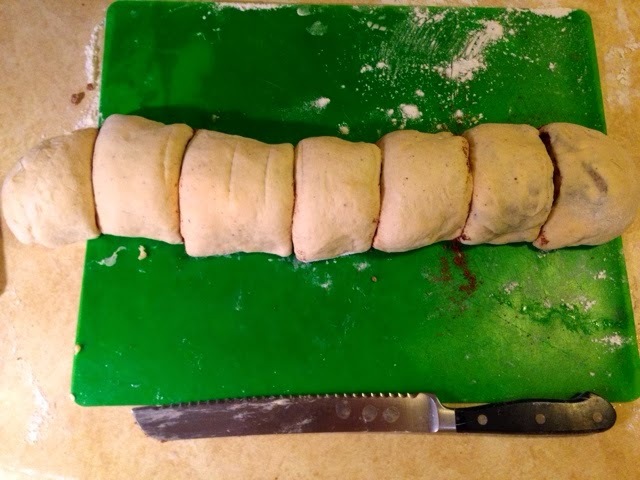 Cut the cylinder with a sharp knife to make 6-8 equal-size buns. 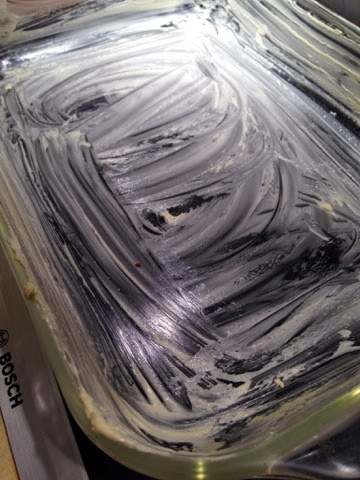 Butter a 9-by-13-inch baking pan. 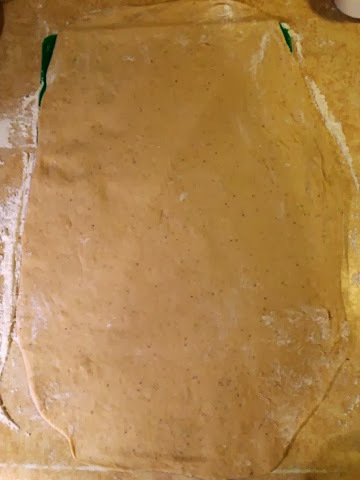 Place the buns cut-side down in the pan, leaving space between each. 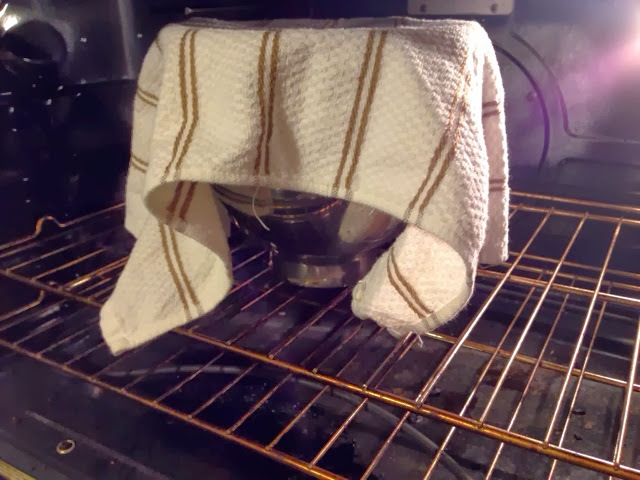 Cover with plastic wrap and let rise until doubled, 40 minutes. Once the buns have risen, place them into the 325 oven. 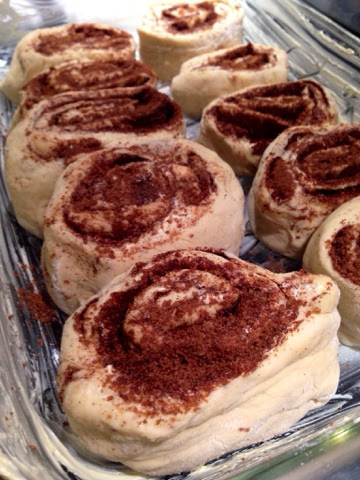 Bake the buns until golden brown, about 35 minutes. 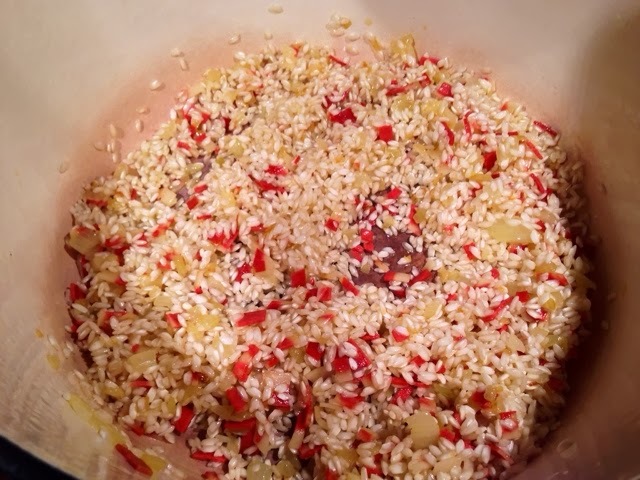 Cool in the pan 15 minutes. 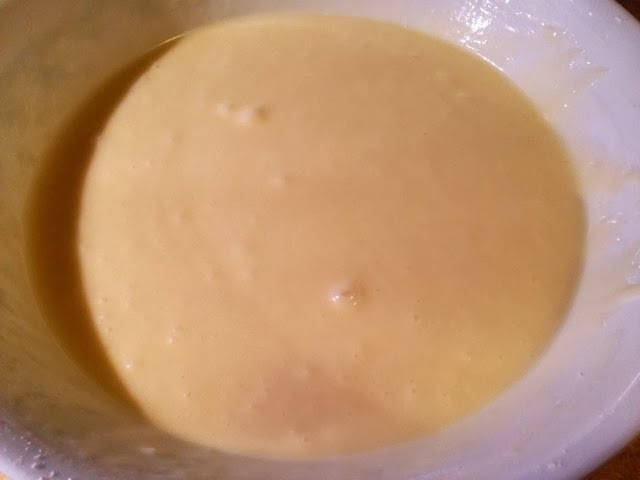 Meanwhile, make the glaze: Sift the confectioners' sugar into a bowl, then whisk in the cream and melted vegan butter. Transfer the buns to a rack and spoon the glaze on top while still warm. Serve them right away or allow to cool further and pair with a big cup of coffee or glass of ice cold vegan milk. Store in the fridge and reheat as needed. We all love to go out to eat, try new things, even pay a little extra to have a culinary experience from time to time. But you don't have to go out to have that experience. It's very popular to have dinner parties, get togethers,or even couples night. Why not pass up the take-out or the same old, same old dinners. You can go that extra mile to impress without putting in much effort. You will not only save yourself the expense, but also express to your guests how truly important they really are. By going that extra mile you can show that you care, it's a gestu that I grew up with. The way to a persons heart, more than most people is threw their stomachs. 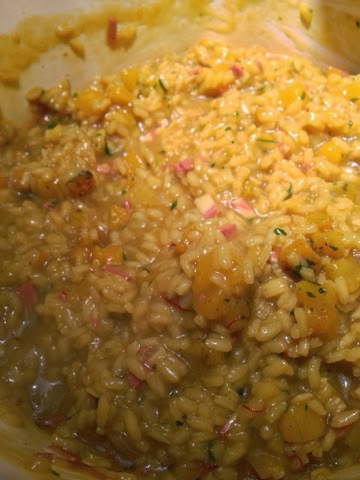 This recipe shows you how to take a "fancy" dish like risotto and make it even more scrumptious and easy. 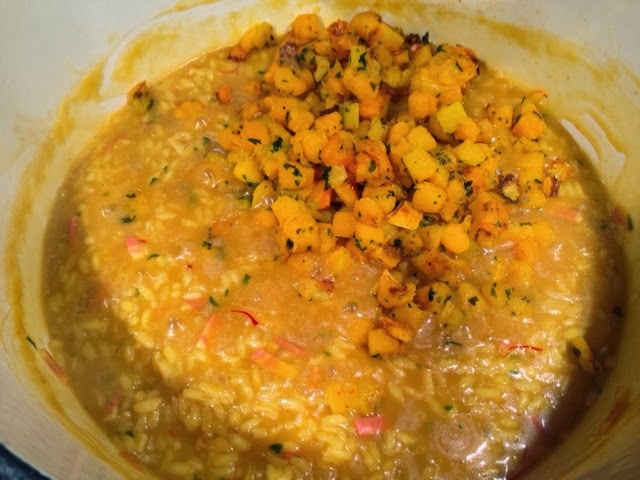 The exotic pairing of saffron with the hearty and sweet squash makes for a perfect warming winter dish. The crispy kale rounds out the dish nicely with a crunchy finish. All of it works together to make a whole meal that will please young and old alike. Serve along side a fresh garden salad and it pairs great with a glass of vegan white wine. 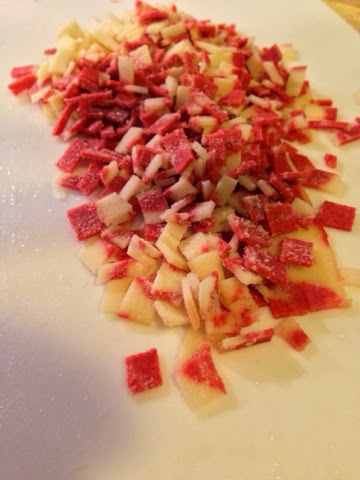 A perfect recipe to serve on a special occasion or the holidays to impress. But you and I both know that it was easy, the only question is...what's for dessert? Enjoy! Peel the butternut squash, remove the seeds, and cut it into 3/4-inch cubes. You should have about 6 cups. 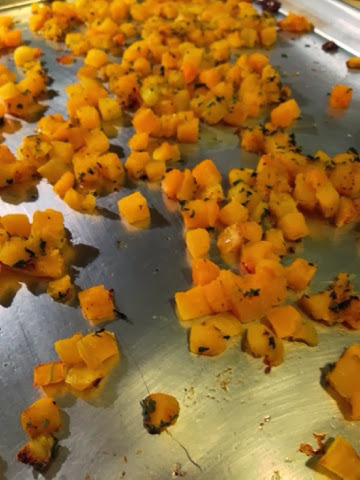 Place the squash on a sheet pan and toss it with the olive oil, 1 teaspoon salt, 1 to 2 teaspoons parsley, and 1/2 teaspoon pepper. Roast for 25 to 30 minutes, tossing once, until very tender. Set aside. Meanwhile, heat the stock in a small covered saucepan. Leave it on low heat to simmer. 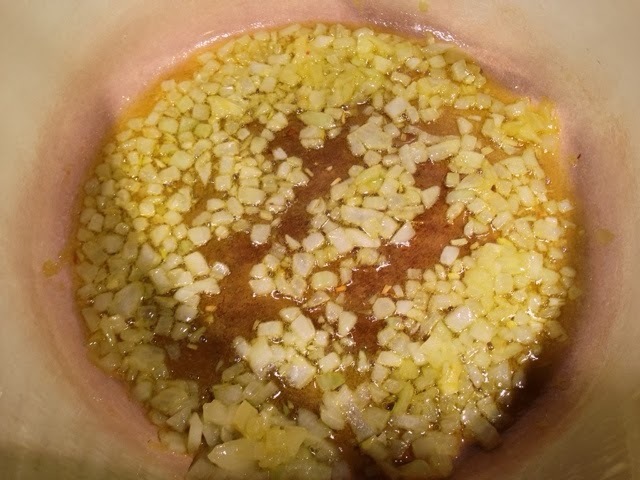 In a heavy-bottomed pot or Dutch oven, melt the vegan butter (or oil) and saute the vegan bacon and shallots on medium-low heat for 10 minutes, until the shallots are translucent but not browned. 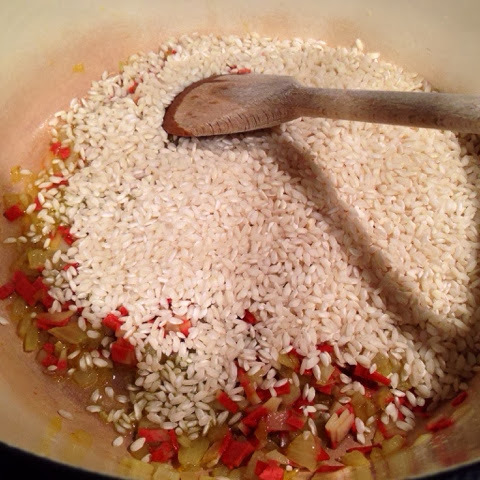 Add the rice and stir to coat the grains with butter. 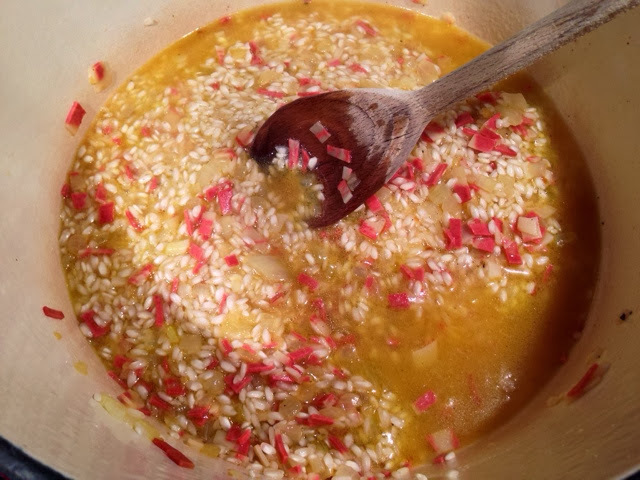 Add the rice wine vinegar and add 2 full ladles of stock to the rice plus the saffron, salt (to taste), and 1/2 teaspoon pepper. 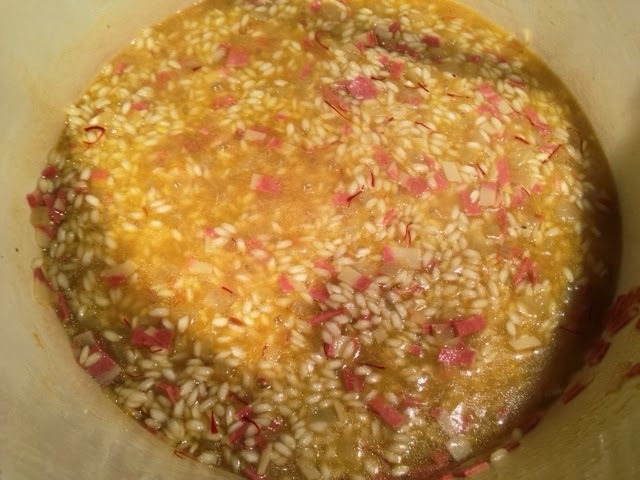 Stir, and simmer until the stock is absorbed, 5 to 10 minutes. 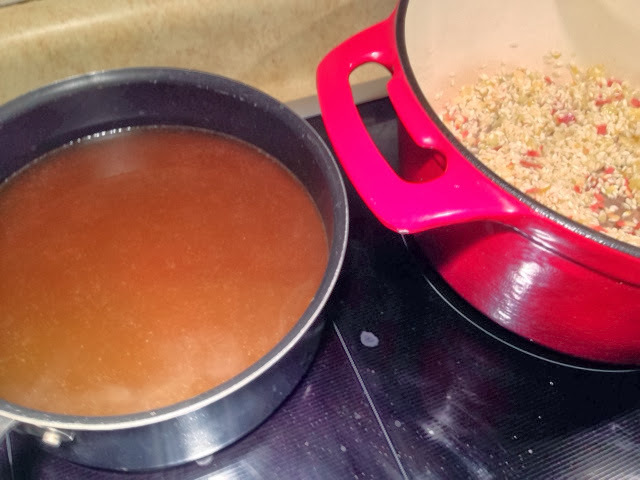 Continue to add the stock, 2 ladles at a time, stirring every few minutes. 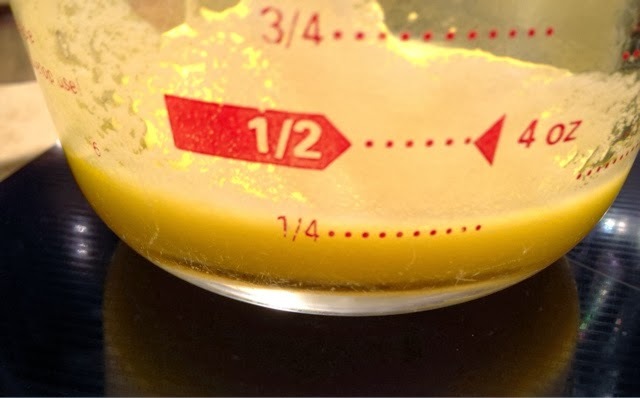 Each time, cook until the mixture seems a little dry, then add more stock. 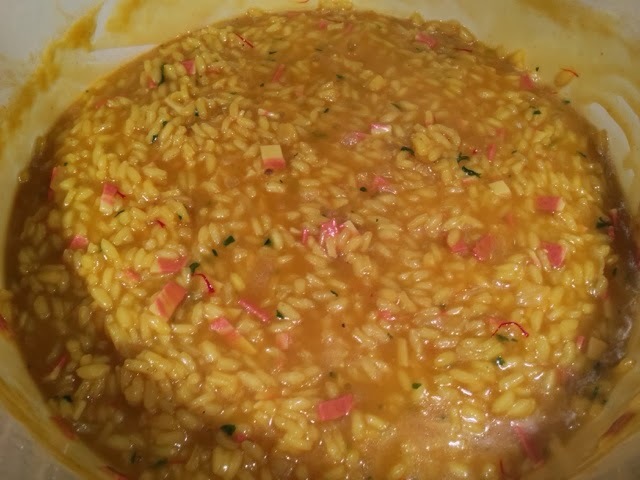 Continue until the rice is cooked through, but still al dente, about 30 minutes total. 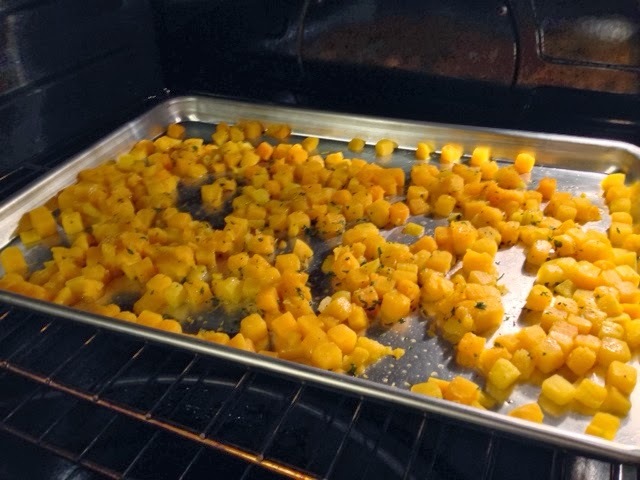 Off the heat, add the roasted squash cubes and vegan parmesan cheese. 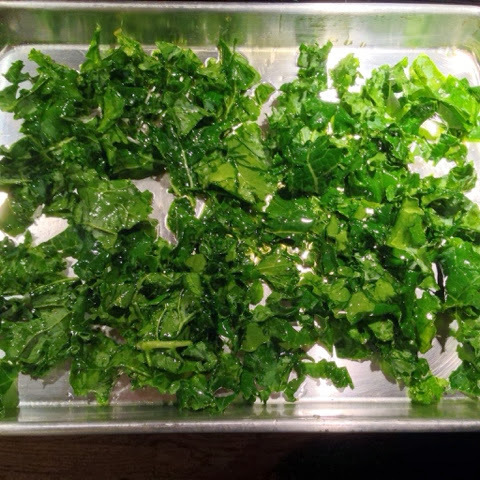 Preheat the oven to 275 degrees F. Remove the ribs from the kale and cut into 1 1/2-inch pieces. 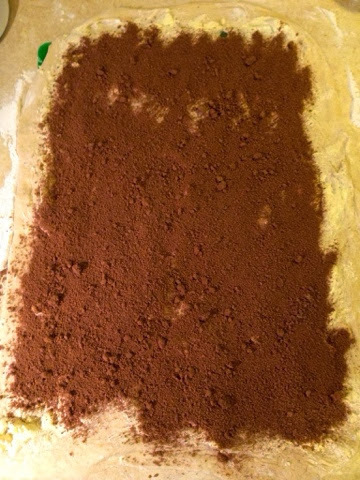 Lay on a baking sheet and toss with the olive oil and salt. Bake until crisp, turning the leaves halfway through, about 20 minutes. Serve as finger food. 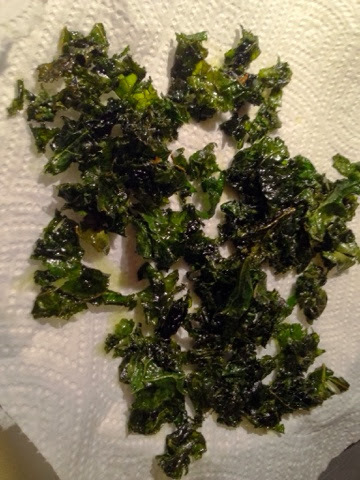 *I always make extra because the Kale is so great to munch on before even getting it to the table..."appetizer" if you will. 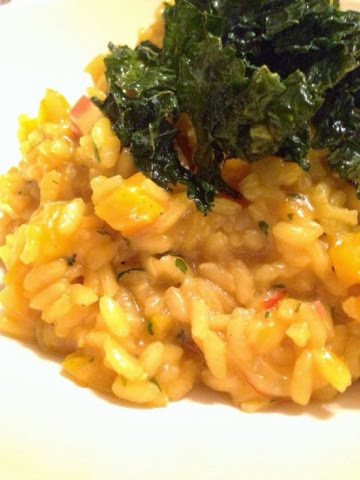 Store extra crispy kale in a air right container with 1/4 cup of dry rice. 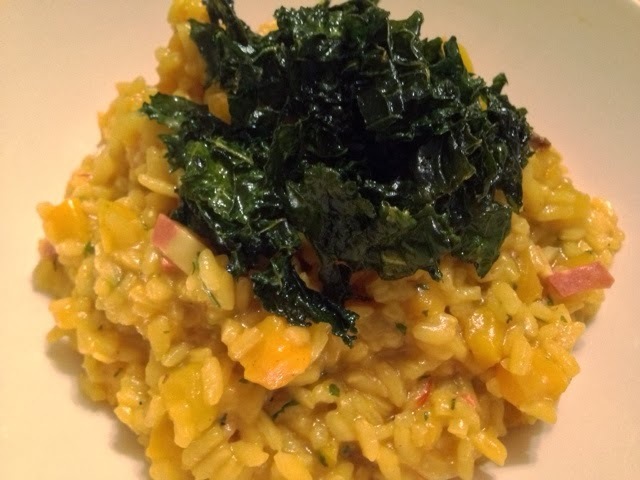 The rice helps keep the kale crisp and from going limp over time. Enjoy again and again!